Hey there, my ZI compadres. How about we start up this week’s exciting Caption Contest? As evidenced by last week’s contest, Link has amassed quite a collection of headwear in Breath of the Wild. The latest DLC pack added a few new pieces to our hero’s repertoire, but we can’t just ignore the many hats that Link donned in his original adventure through the wild. 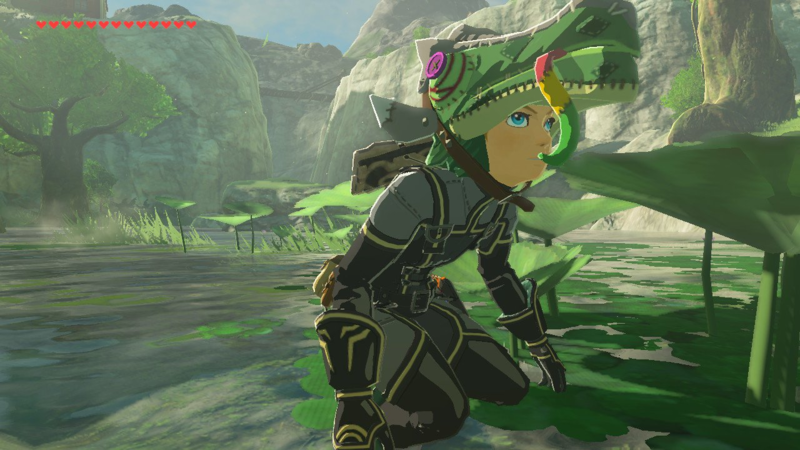 One such headpiece was the Lizalfos Mask, an expertly crafted article that lets our hero walk among his reptilian foes unhindered. 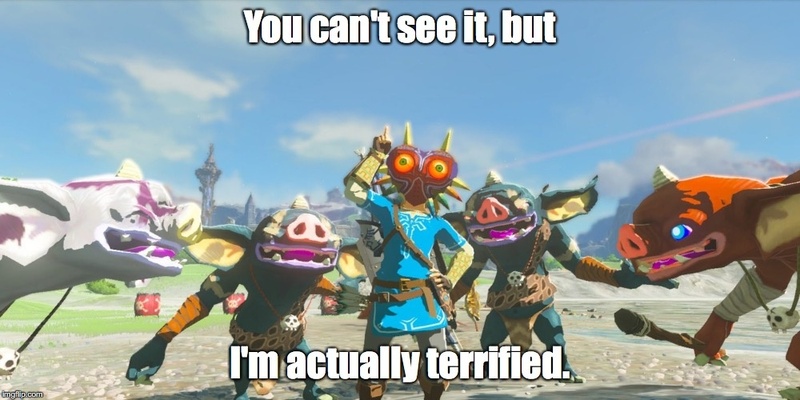 In fact, this mask is so cool, that Link even bears resemblance to a certain stealth game star. Skull Kid might be out of a job after last week.